Why it’s important to handle a guinea pig once a day. As guinea pigs are social creatures they really enjoy being handled with care and gentleness. It may take time for them to get to that place but once they trust you enough for this to happen, they can form a close bond with their owner. It also gives them comfort and attention, something that guinea pigs enjoy. The earlier you start this process, the better. It is far easier to start this when they are young rather than with grown and mature guinea pigs. Why it’s important to handle a guinea pig once a day. This is because you have the opportunity to build trust with them from an early age. Starting this later in their life is more difficult as they become less trusting as they get older. This is especially the case if they have been mistreated at all, during their upbringing. They could also not have been handled and so are just not used to an owner taking this kind of interest in them. 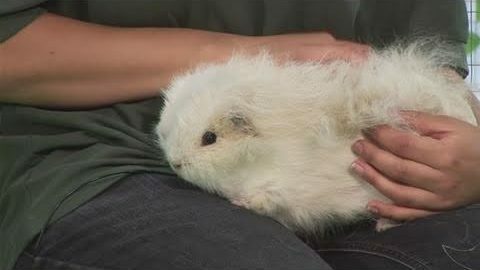 A good resource for picking up a guinea pig is this video.